This month, we’re stressing the importance of taking every possible step to combat one of the deadliest of women’s cancers: ovarian cancer. What makes recognizing the signs of ovarian cancer particularly challenging is that in its early stages, it rarely reveals symptoms. Yet even in its advanced stages, the symptoms of ovarian cancer don’t always raise red flags. In fact, some are so nonspecific, they are associated with common benign conditions such as constipation or irritable bowel problems. Treatment for ovarian cancer involves surgery — the extent of which depends on the stage of the cancer, your age, your general health and other factors. In addition to surgical procedures, there are a host of oncology treatments that may be recommended singularly or in combination to attack cancer. Many people are eligible for clinical trials, which are carefully controlled research studies that provide access to promising new treatments, drugs or therapies. If you are experiencing any symptoms of ovarian cancer, or feel you may be at risk, contact the caring, dedicated physicians at Southeastern Medical Oncology Center. 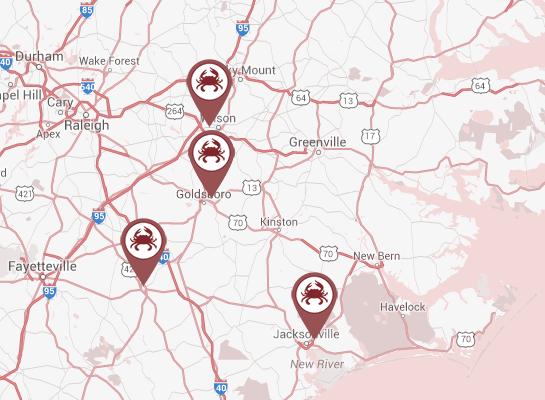 With four locations across Southeastern North Carolina, we’ve provided leading edge cancer care through rapid testing and results, advanced therapies, and hematology for more than 30 years. Call 919-580-0000 or click here to request an appointment at the SMOC location nearest you.